The journal Veterinary Parasitology has an open access mirror journal,Veterinary Parasitology: X, sharing the same aims and scope, editorial team, submission system and rigorous peer review. This journal is concerned with those aspects of helminthology, protozoology and entomology which are of interest to animal health investigators, veterinary practitioners and others with a special interest in parasitology. Papers of the highest quality dealing with all aspects of disease prevention, pathology, treatment, epidemiology, and control of parasites in all domesticated animals, fall within the scope of the journal. Papers of geographically limited (local) interest which are not of interest to an international audience will not be accepted. Authors who submit papers based on local data will need to indicate why their paper is relevant to a broader readership. Parasitological studies on laboratory animals fall within the scope of the journal only if they provide a reasonably close model of a disease of domestic animals. Additionally the journal will consider papers relating to wildlife species where they may act as disease reservoirs to domestic animals, or as a zoonotic reservoir. Case studies considered to be unique or of specific interest to the journal, will also be considered on occasions at the Editors' discretion. 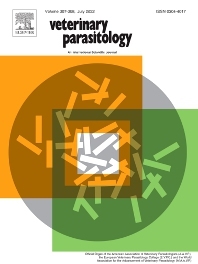 Papers dealing exclusively with the taxonomy of parasites do not fall within the scope of the journal. Studies on rickettsial disease organisms (Ehrlichia, Anaplasma, Eperythrozoon) will be considered for publication in Veterinary Parasitology, but only if the paper deals with vector transmission of these organisms to domesticated animals, or if zoonotic. Studies on Rickettsia per se will not be accepted. Studies dealing with parasite control by means of natural products, both in vivo and in vitro, fall within the scope of the journal, but only if well documented and with therapeutically relevant minimum inhibitory concentrations of the active compound(s) being clearly demonstrated.